Spiral Cutterheads for the Jointer: Worth the Upgrade Price? September 6, 2011 By Paul Mayer & filed under Buying Advice. Edge longevity. Spiral cutter heads utilize carbide steel inserts, while most knife-based cutter heads incorporate knives made of high speed steel. Carbide normally holds an edge for at least three times as long as high speed steel, and much longer than that in many cases. This translates to less time between swapping out cutters. Plus, the insert cutters for spiral cutter heads normally have four cutting edges on each one, so if one gets dull it can simply be rotated, and the jointer is immediately back in production. Depending upon the cost of sharpening and replacing knives in your area, it is unlikely that this longevity advantage alone will ever singlehandedly justify the cost of the spiral cutter upgrade, but it is a factor that can offset some of the price differential, so it is worth consideration. Super easy cutter changes. Depending upon the design of a given cutter head, swapping out knives can be a cumbersome, time consuming process. With spiral cutter heads, the process could not be much simpler. Remove one screw, rotate the cutter 90 degrees to a fresh edge, tighten it down, and resume jointing. Setting knives can be frustrating. This can take a while, and can lead to inconsistent results in getting the knives consistently set to the perfect height. Of all the factors to consider with spiral cutter heads, this one appeals to me the most, as I am not a fan of swapping knives in a jointer. Minimal disruption from nicks in knives. With high speed steel knives, if you nick one of your blades, you either have to remove the blades and sharpen the set, or try to slide the knives so that the nicked portions of the blade no longer align. This presents either a cost factor, hassle, or both. With spiral cutter heads, you simply rotate as described above and you are back in business. Plus, since the inserts are made of carbide, the likelihood of getting nicks in the cutters goes way down in the first place. Quieter. The spiral cutter heads operate much more quietly than knife-based cutter heads. Although I don’t own a sound level meter so I can’t quantify this, the difference to my ears is pretty dramatic. 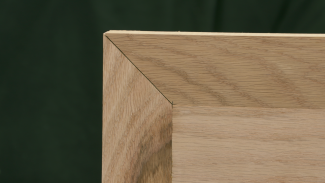 Joint MDF or plywood. If you ever have a requirement to joint man-made materials such as MDF or plywood, you can do this with confidence using a carbide insert cutter head, while this is not recommended with traditional knives (although I will admit that I have jointed plywood with knives a time or two). Easier dust collection. A minor benefit is that the smaller cutters on spiral cutter heads break the material into smaller pieces, so slightly less suction is required to extract the waste back to a central system. Better surface on figured wood. This is the point that seems to get all of the attention around the internet. From my standpoint, I have used a jointer with HSS knives for over a decade and have had adequate results when face jointing figured stock, provided my knives are sharp and set properly, the jointer is tuned, and I take light cuts with a slow feed rate. I don’t rely on a jointer for a finish-ready surface, so even with a spiral cutter head, I will continue to scrape or sand to a final surface. Having said that, the results that I have seen so far using a spiral cutter head on figured wood have been nothing short of spectacular. I have face-jointed birds-eye maple, curly birch, quilted maple and quarter-sawn white oak, all with great results. Helical vs. Spiral. When looking into spiral cutter heads, you will hear the terms “spiral” and “helical” used nearly interchangeably, but there is a slight difference between these two designs. Both designs feature a machined steel head with small square cutters placed along the surface in a spiral pattern. The primary difference lies in the orientation of each cutter. Spiral cutter heads position each blade so that the active cutting edge is perpendicular to the jointer’s feed direction. This would be a similar cutting action to a hand plane taking a cut straight into the grain of a piece of wood. Helix cutter heads on the other hand operate more like a sheer or skew cut taken with a hand plane, as the cutters are positioned at an angle to the feed rate. In theory this shearing action should provide a superior finish, just as it does with a sheer cut on a hand plane. In practice however, when applying a slow feed rate and a shallow cut the surfaces produced on figured stock by each style cutter head are nearly perfect to the naked eye, so it is difficult to substantiate a claim that one is better than the other without employing some level of magnification. And at that point it becomes a science project rather than a meaningful measure of woodworking precision or productivity, which causes me to lose interest. Decisions, Decisions. Is a spiral cutter head right for you? If you are thinking about this upgrade, the following simple table might help you weigh out the trade-offs. 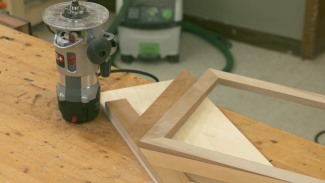 – Do you use your jointer for multiple hours each week? Heavy use is a good indicator that spiral might be a good fit. – Do you do a lot of face jointing? Face jointing is quieter with spiral cutter heads, and produces a superior surface. – Does the idea of spending a few hundred dollars make you cringe?Traditional knives can save you several hundred dollars compared to spiral cutter head. – Are you intimidated by changing jointer knives and precisely setting the height of each knife? – Insert tooling is a breeze to rotate, re-seat, and resume play time. – Are you a tool junkie? Spiral cutter heads are newer technology with major cool factor, and I’ll bet your neighbor doesn’t have one yet so you will have bragging rights. I like the concept behind spiral and helical cutter heads, and I took the plunge and ordered one with my recent jointer purchase. As a hobbyist, I will admit that I consider this a bit of a luxurious indulgence. I don’t use a jointer enough to justify the expense based upon any cost savings I will incur down the road. 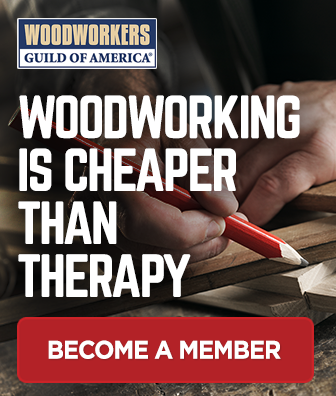 But the surface quality, quieter operation, ease of blade change, etc., make it an attractive upgrade for any woodworker who can afford one without cutting into grocery money. For professional woodworkers who use their jointer a lot, I believe that this upgrade is a no-brainer. Minimized downtime due to blade swaps, less sanding time on face jointed surfaces and fewer sharpening expenses all add up to real savings and a competitive advantage due to better productivity. What do you think? Are you using a spiral cutter head in your jointer? If so, let us know why you bought it and what you think of it in the comments section below. Questions? Please feel free to post those in the discussion forum so we can continue to add to the knowledge base that is growing there. Photos by Author unless otherwise credited. I’m a furniture maker from Holland and I never used these cutter heads before now I use one in the planer and the result is that you can see all the knives separately marked in the wood. There is no way you can adjust them, I mean how can this be an upgrade? We cleaned every seat of every knife but still the same bad result. Just long stripes over the whole plank. Are we just out of luck or is this a common problem? Thank you for your comment. In Paul’s experience, the lines can be caused by making a really heavy pass. If this is followed by a lighter pass, the lines go away. If lighter passes don’t take care of this, you should check with the cutterhead manufacturer. Hi Jacobus, In Paul’s experience the lines can be caused by making a really heavy pass. If this is followed by a lighter pass, the lines go away. If lighter passes don’t take care of this, you should check with the cutterhead manufacturer. We do not sell this piece of equipment. This was an overview of this jointer head cutter design. You can check with woodworking tool retailers in your area to see if spiral cutterheads are available for your jointer. 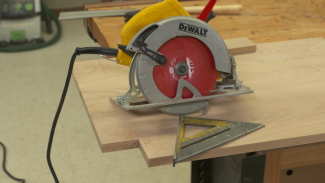 I am an active hobbyist and installed a helical cutter in my Dewalt benchtop planer awhile back. It takes about an hour. All of the advantages noted are real and worthwhile. But to me perhaps the biggest advantage is that you can do way more with less power. This is not simply because the blades are sharper longer but because the machine is doing less at a time. With the helical design I have there is probably only about an inch in contact with the wood at any time, not a whole 12 inch blade. The difference is dramatic. If you have ever tried to thickness a 12 inch wide board in a table top planer you will know it is a challenge. I did hundreds of feet of hardwood recently with very low strain on the machine and a beautiful finish. Remarkable really. I’m just in the process of upgrading my 6″ jointer which is otherwise seriously underpowered. Excellent, well written article. Thanks! Hi everyone! I’m in the market for a jointer and planer for my new shop. I’m still doing my research and inquiries with either HSS blades or spiral cutterheads. One salesperson as discouraged me from acquiring any tools with spiral cutterheads as the replacement carbide cutters are expensive. By doing further research, I got to figure out that the cutterhead cutting surface will last on average 3 times that of HSS blade as for dullness. When you know that you have 4 surfaces on the cutterheads, this also tells me as a hobbyist I will never see the end of these cutterheads. Therefore it’s a no brainer, saving time removing, sharpening, installing, adjusting and re-adjusting. The cutterheads seems like an advantage that cannot be overlooked. As well I will be keeping my old portable planer to remove the real ruff stuff or dubious wood and keep my new machines well honed. I am a furniture maker and have had the same 3 phase machines for all of my 28 years at work. I recently replaced the cutter heads on both my Yates American #1 jointer (1951) and my Yates American J-18 surface planer(1938). I am not sure who made the other heads that are being talked about here, my jointer head was made by Bryde, and my planer one was made at Hermance Machine Co. I have to tell you, there is a huge performance difference in the machine, both is audible loudness, but more importantly, the finished surface. I would urge any professional furniture maker to replace their straight knives to helical as soon as you can afford the time. Hermance offered me much quicker turn around time than Bryde, plus personally I felt their service overall was better. I am happy I have made the conversion. Cheers. Do you make customized cutter head ? I believe you have the pictures in the wrong place to match the description of spiral vs helical. Hi Mike. You are correct. Thank you for letting us know. We will make the change. Hi Mike. Thank you for bringing this to our attention. This is being corrected. Informative article. Good, solid points, and practical approach. Helped me make the decision on which way to go. In a sharpener and one service I want to offer clients is resurfacing curting boards so I bought a deealt dw735. The problem I’m having is especially on cutting boards thinner than 1/2 inch, the 3 blade cutting head is grabing the board, and lifting it up into the cutting blade, ripping the board up. Will a carbide spiral blade relieve this issue. Is it worth the $300 investment to try? I was about to sell the planet and give up on tgus service all together. I have had my Grizzly G0490X Jointer for almost a year now and the only problem that it has created is that it produces such a superior surface compared to my planer(which has knives), that I have added a replacement Spiral Cutterhead to my wish list.